Jose Mourinho is targeting four new additions to his Manchester United squad over the summer as he continues to rebuild, according to reports. Tuesday’s Champions League second round exit at the hands of Sevilla added to an already frustrating season that sees us 16 points behind Manchester City in the Premier League with eight games to go. We take on Brighton & Hove Albion in the FA Cup quarter-finals at Old Trafford this Saturday evening – our final chance of silverware this season. 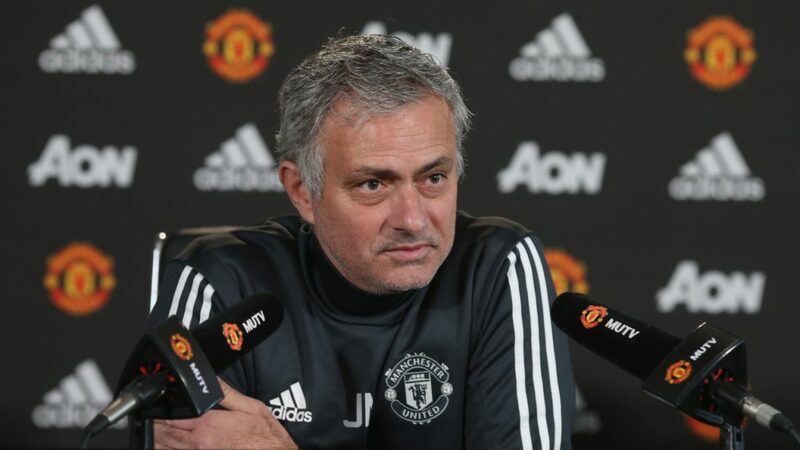 Back in December Jose insisted that the money he has spent on transfers since his arrival one-and-a-half-seasons ago, about £330 million, is not enough to challenge Pep Guardiola’s Manchester City. According to the Independent‘s Miguel Delaney, Mourinho wants to add four more signings over the summer. One of those positions could well be at centre-back where Phil Jones has struggled with injury problems again this season and the boss has never seemingly been a huge admirer of Chris Smalling. We have been strongly linked with a move for Barcelona’s Samuel Umtiti this season, whom reportedly has a €60 million buy-out clause in his contract. Victor Lindelof has not settled in well at all since joining from Benfica last summer. With Michael Carrick set to retire in the summer and Marouane Fellaini seemingly prepared to let his contract run down, we can be expected to sign at least one central midfielder, if not two. Shakhtar Donetsk’s Fred, Napoli’s Jorginho, Nice’s Jean-Michael Seri, Lazio’s Sergej Milinkovic-Savic and Real Madrid’s Toni Kroos have all been linked with us since the January transfer window closed. Another area that needs addressing is at left-back. Ashley Young continues to be used in this role despite not being his natural position. And despite Luke Shaw returning to fitness in December he has failed to hold down that role regularly. It suggests to us that this is a position we’ll be looking to reinforce over the summer. I think man.united must buy 2c.d, 1lbd,rbd mfd who possess quality and rapidity. Lukaku and rasford to play strikers.sanchez, pogba, shaw,blind, smailling,lindelof and jones out. Players like matic, valencia, young, mctominay, lingard, mata,martial, rojo to play only league cup and fa cup prelimary match.